How can I go under debt counselling, pay admin fees and still save money? Many people who are not familiar with the debt counselling process do not see how they are able to commit to a debt restructuring programme, pay monthly fees to the debt counselling company for the ongoing service, and still save money and come out debt free at the end of it. Well, the answer is that debt counselling is a very well designed programme which allows a fair deal to each party involved, namely, the credit providers, the consumer and the debt counsellor. Firstly, the debt counsellor will negotiate lower interest rates and fees with credit providers, on the consumer’s behalf to ensure that the consumer can now afford their monthly instalments and the credit providers still get paid back the money they lent to the consumer. The debt counsellor will provide a number of services to the consumer such as restructuring their budget and formulating a new financial plan, negotiating with credit providers and organising a lower, consolidated repayment amount to be distributed to the consumer’s various credit providers each month. The debt counsellor will also provide the consumer with legal protection which will protect the consumer’s assets from being repossessed and prevents creditors from taking legal action against consumers, in fact the debt counsellor will take on all necessary communication with the credit providers on the consumer’s behalf throughout the debt counselling process. The debt counsellor charges a fee structure for the services they provide. It is important to note that a debt counsellor will factor their fees into the consumers new budget, so they will never be charged what they cannot afford, and because the consumer now has lower interest rates and fees on their debt, they will still end up saving a significant amount of money in the long run, even when taking the debt counsellor’s fees into account. In a consumers first month of debt counselling, they will pay a restructuring fee which will cover the administration involved in restructuring the client’s budget and debt repayment plan. In the second month, a new client will pay a sundry fee, which will cover the costs of the legal processes involved. The restructuring fee and sundry fee will be equal to the client’s renegotiated, combined monthly debt repayment amount. This means that the client will only resume paying their creditors in month three and therefore the fees in month one and month two are affordable for the client. From month three, DebtBusters also charges a monthly after-care fee where a small percentage of the client’s monthly repayment amount (up to a maximum of R518 incl. VAT) is charged. This is in line with the National Credit Act’s debt counselling fee guidelines. The monthly after-care fee covers the ongoing service and support a client receives throughout the debt counselling process. Also see Why must debt review fees be paid to your debt counsellors. Let’s face it, life can be expensive. You can go from being on top of your finances to drowning in debt very quickly – whether it be due to unforeseen medical expenses, a terrible car accident, loss of income, or simply not being able to keep up with day to day expenses. For this reason, it’s important to be aware of the tell-tale signs that you may need help managing your debt. You make use of credit to pay for monthly expenses: If you find yourself relying on credit, such as store cards or payday loans, to pay for basic monthly expenses like food or fuel, you may be in over your head. It will only be a matter of time before you max out your credit and start doing serious damage to your credit record. You haven’t managed to save: While the concept of saving may be familiar, the reality of it may not be. For many South Africans the practice of saving is near impossible as their debt repayments are simply too high. If you can relate, then it may be time to seek help with your debt. However, there is a difference between having no savings and being unable to save anything. Having no savings could be the result of poor financial management, whereas being unable to save because you simply don’t have the funds, could signal being over-indebted. In this case it is advised to seek professional help. You’re taking out debt to service debt: Whether you are borrowing from loved ones, paying your clothing accounts using your overdraft, or taking out payday loans, it is never indicative of a healthy financial status. If you’re unable to afford your debt, it is a big problem that is only made worse by the vicious cycle of taking on additional debt. Your debt is haunting you at night: Financial stress is arguably the worst of the lot! Much like any other stressor it eats at your sub-conscious, eventually causing you to be unable to sleep or function properly. This could also see you falling into a state of depression and impact your immune system. You’re behind on payments: The game of catch-up when it comes to repayments is exhausting. You may simply see it as a once-off decision, but five months down the line and after quite a few calls from the creditor, you’re simply unsure where to turn.The fact remains that if you are unable to make a payment this month, there will be even more pressure on your finances the following month. If you can relate to any of the above, you should seek help regarding your debt immediately. DebtBusters will walk you through our sophisticated debt solutions. These include debt counselling and debt consolidation. We know that acknowledging you have a debt problem is a big step, but if you are serious about moving towards a debt-free life, you need to talk to a professional who is equipped to help you. Contact us on 086 999 0606 or email info@debtbusters.co.za for a free debt assessment. Many people in South Africa try to solve their debt problems with more debt. It is a common misconception that if you cannot afford to pay off a loan, the solution is to take out another loan to cover it. This, however, will lead you to an even worse off financial situation, as the more loans you take out, the more money you will owe and the more interest and fees you will be charged. 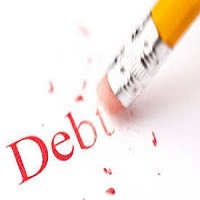 If you are struggling to keep up with your debt repayments, taking out more credit will only worsen your situation, as the debt will continue to accumulate and as the situation begins to spiral more and more out of control, your creditors may begin to take legal action against you. Debt counselling, on the other hand, is a process of consolidating your debt without taking out another loan. Your existing debt is restructured to a single, affordable amount and you will be working towards becoming debt free by paying this restructured instalment each month. A debt counsellor will negotiate lower interest rates and extended payment terms with your creditors, and will also ensure that you receive legal protection. Going under debt counselling will allow you to be fully committed and focussed on paying off your debt and becoming debt free. You will be paying a lower instalment each month, and therefore will have enough disposable income to cover your living expenses, meaning there is no need to take out more credit to assist with cash flow. Your debt counsellor will negotiate lower interest rates and fees on your debt with your various credit providers, on your behalf. They will also request that the payment terms be extended. This means that you will pay a combined, lower monthly instalment and have enough disposable income to cover your living expenses. Under debt counselling, you will also be provided with legal protection from your creditors. This means that you will no longer receive unpleasant calls from your creditors as your debt counsellor will handle all formal communication with your credit providers. As part of the legal protection you will receive, your assets will be protected from repossession, meaning that you will no longer have to worry about losing your house or vehicle. You will not be allowed to apply for new credit, meaning that you will no longer be at risk of getting into deeper debt, and can fully focus on becoming debt free. Once you have paid up all your debt obligations, you will receive a clearance certificate stating that you are officially debt free. Your credit record will be cleared and you will have the opportunity to start afresh and build up a healthy credit score. For more info, email us on info@debtbusters.co.za or phone 086 999 0606. Many South Africans are struggling to meet their monthly debt obligations because of various factors, including the ever-increasing standard of living. Sadly, some don’t even know that help is within their reach. In 2007, the government introduced a programme called debt counselling to assist such consumers. Debt counselling is a debt relief programme that helps over-indebted consumers through an affordable repayment plan to repay their outstanding debt. According to the National Credit Act (NCA), you are over-indebted if you are unable or struggling to pay all your debt on time. If you find that your debt-to-income ratio is more than 43% or if more than half of your income goes towards your debt repayments, you should seek help. A debt counsellor will determine how indebted you are by measuring your expenses and liabilities against your income. If the former two exceed the latter, you are over-indebted. All you need to do is provide the debt counsellor information such as proof of income, your ID number, bank statements, a list of your expenses, and credit obligations. Once the debt counsellor has ascertained that you are over-indebted, they will apply for a court order to halt all your creditors from calling you. Your debt counsellor will inform the credit bureaus to flag you as undergoing debt counselling within 30 days of your application. Remember you will not be able to access further credit until you have been rehabilitated. The debt counsellor will negotiate with your creditors on your behalf for lower interest rates and fees on your various credit agreements, as well as extended payment terms. After this you will pay one reduced monthly instalment which is a sum of all your instalments for your loans from your creditors. This amount will be distributed to all the creditors that are listed on the plan. Any person who feels over-indebted can apply for debt counselling, and you can jointly apply with your spouse if you are married in community of property. However, businesses or companies are not allowed to apply. What are the costs of debt counselling? According to the NCA, you will pay several fees for debt counselling, including an application fee, an administration fee, and a restructuring fee. However, it’s important to note that your fees will be based on your unique circumstances, and we will never charge you anything you cannot afford. The fees for debt counselling will form part of your reduced monthly instalments. For example, if your current monthly instalments equal R2 000, your debt counsellor may reduce this down to R1500 per month, where R1400 will be sent to your creditors and R100 will count as your debt counselling fees. This means you will still pay R500 less each month, even when the necessary fees are included. Therefore, anyone in debt can afford debt counselling. What if you are unemployed? The debt counselling programme is for consumers who can provide proof that they can afford the lower monthly instalments that are afforded by the programme. However, if you are unemployed but married in community of property, you can jointly apply for debt counselling with your spouse. What happens after debt counselling? Once you have been rehabilitated – that is, once you have paid all your debts according to your restructuring plan – you will receive a clearance certificate that shows that you have completed the debt counselling programme. Your debt counsellor will send the certificate to all the credit bureaus so that they can “unlist” you under debt counselling. It is up to you to ensure that the bureaus remove the debt counselling status. Failing to do so may harm your chances of you accessing credit again in future. We can assist with all your debt counselling needs. We offer customised assistance based on your unique circumstances. Call us at 086 999 0606 to get started. Marrying into debt: What does it mean for you? Everyone would love to start their marriage on a clean slate. But we all have burdens from our past, and sometimes these burdens are financial. So what does it mean for your future if your new spouse is overindebted? Will you be liable for their debt? 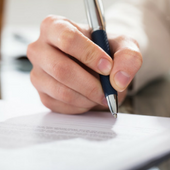 Depending on the type of marriage contract you and your spouse signed, you may be responsible for the debt. If the marriage is in community of property (COP), everything that is accumulated within the marriage – including debt – is considered jointly owned. However, if you enter into a marriage with the accrual system, you will not be liable for the debt that was incurred before the marriage. Will it affect your credit rating? It’s not uncommon for a married couple to purchase assets together, especially things such as a house. When you jointly apply for mortgage, your creditors will perform a risk assessment on both of you. The creditor will check your credit reports, and if they see that your partner has a bad credit history, your combined credit score will drop. This increases the chances of your application being rejected. If approved, the costs of repayment could even be higher because of the risk you pose to the creditors. Will you have to adjust your spending plan? When your partner is over-indebted, it is likely to put strain on your household income. This means you and your partner may have to limit your spending to only the essentials. That dream honeymoon might have to take a backseat because you still need to help your partner get out of debt. You might even have to postpone starting a family because your joint income may not be enough to support new mouths to feed. Will your ability to take out credit be impacted? If your partner decides to file for bankruptcy later in the marriage, it will be impossible for you to get credit until your spouse is rehabilitated. When you are married in community of property, your assets and liabilities become one estate. So when one party is declares insolvency, the other becomes insolvent too. How can you help your partner get out of debt? Your partner needs all the support you can provide. Help them pay the debt if you can. Help your partner cut down on spending. Encourage them to stick to necessities, such as food and rent. Encourage your partner to earn an extra income if possible. Refer your partner to a reliable debt counsellor for debt restructuring. DebtBusters can give you and your partner a fresh start. We can consolidate the debt and have the repayments reduced. Dial 086 999 0606 or email to info@debtbusters.co.za to speak to one of our consultants. How does life look after debt counselling? So, you’ve reached the end of the debt counselling journey – a fantastic achievement. Like many who have been part of the programme, you are probably wondering what’s next and how your life is going to change after the programme. Once all the necessary paid up letters from your respective credit providers have been received, your debt counsellor will issue you with a clearance certificate which is also known as a Form 19. This certificate confirms that you have settled all your accounts listed under the debt counselling agreement and that all of your accounts are paid up – this excludes your home loan, which just needs to be up to date with payment. Once all the paid up letters have been obtained, the clearance certificate must be issued within seven days of finishing the programme. The debt counsellor will ensure that the credit bureaus receive the certificate so that you are no longer flagged under debt counselling. Can you apply for credit? Since you have been rehabilitated, you can apply for credit as soon as the debt counsellor hands you your clearance certificate. Your status as someone who was under debt counselling will not have a negative impact on how the creditors perceive you. If anything, they will perceive you as a responsible consumer who realised that they were overindebted and acted accordingly. It is highly advisable that you set up a realistic budget and draw up a financial plan before you attempt to take out any new credit. Your debt counsellor and/or a financial advisor will be happy to assist you with this budget as well as a sustainable financial plan for the future. How will your credit score be affected? Naturally, your credit score will be low after debt counselling. But you can rebuild it by ensuring that you pay your accounts on time. Creditors always look at your payment history when they are risk profiling you for credit. Make sure that service agreements such as DStv, Telkom accounts, and phone contracts are up to date. After you have completed the debt counselling programme, pull up your credit report to see if it is updated. If not, immediately inform the bureau, so that they can correct any mistakes. Those mistakes could cost you your credit score. Can you apply for debt counselling for a second time? You can apply for debt counselling any time you feel over-indebted. However, the debt counsellor must also do an assessment to determine if you are indeed over-indebted. DebtBusters has a trained team of consultants who will help you negotiate debt settlement discounts with your creditors. If you are struggling to pay your monthly instalments, do not hesitate to call us on 086 999 0606. How long does the debt counselling process take? You may be familiar with the term “debt counselling”, but perhaps you have questions around the process and specifically how long it takes to complete. While the general time frame is 60 months or between 3 to 5 years, it is dependent on how much debt you have and how much you can afford to repay per month. This is because each case is assessed individually and based on what you can afford. The debt counsellor will then negotiate with your credit providers to lengthen the repayment timeframe, and to lower the interest rates and fees on your debt. Lengthening the payment terms will allow you a longer time in which to pay off your debt. This will result in lower monthly instalments. The lowering of interest rates and fees on your debt will also save you a considerable amount of money in the long run. The main goal of debt counselling is to lessen your monthly debt instalments, making it more affordable for you to pay it every month while still allowing you to afford your living expenses. Once you are under debt counselling, you will make one combined reduced monthly payment as opposed to paying each credit provider individually. Your debt counsellor will then get a court order or a consent order on your behalf, which will provide you with legal protection from your credit providers. This means they will no longer be authorised to call and harass you about any outstanding debt. Another factor in the process is your commitment. What this means is that if you are not committed and diligent about making your debt repayments, you will fall further behind and essentially take far longer to reach your financial goals. Undergoing debt counselling requires you to be disciplined and cooperative in ensuring a smooth process. But it is a small price to pay in exchange for protection from losing your assets, as well as the clearance certificate you will receive at the end of the process to certify your debt freedom. In addition, should your financial position change while under debt counselling and you are able to pay larger amounts or a lump-sum amount, it can be arranged that you conclude the process even sooner. Chances are you didn’t land yourself in hot water with your finances overnight, so it’s only fair that you allow the rehabilitation process to also run its course. If you’re struggling with managing your debt, you may be considering debt counselling or a debt consolidation loan as possible solutions to ease the financial strain. It is important to understand the difference between these two debt solutions, as although both are aimed at making managing your debt easier, they are two differently designed processes. Debt counselling allows you to consolidate your debt without having to take out an additional loan. The debt counsellor will negotiate lower interest rates and fees with credit providers on your behalf, and arrange a restructured, combined monthly repayment amount. Debt consolidation requires you to combine all your debts by taking out a bigger loan to cover your smaller loans. The idea is to make it easier for you to manage your debt by making one repayment towards the consolidation loan each month, rather than worrying about paying various credit providers each month. Debt counselling prevents you from taking out any further credit while you are under the debt counselling process. This is for the consumers own good as the debt counsellor will restructure your repayment plan so that you have enough money to afford your living expenses each month, and taking out more credit will only hinder your financial situation further. Debt consolidation allows you to apply for further credit. While this may seem ideal, many people are not disciplined enough to steer clear of wracking up more debt and managing it properly. This could result in a consumer becoming over indebted and needing to go under debt counselling. Debt counselling gives you full legal protection from creditors, as outlined in section 86 of the National Credit Act. This means that all communication will go through your designated debt counsellor. 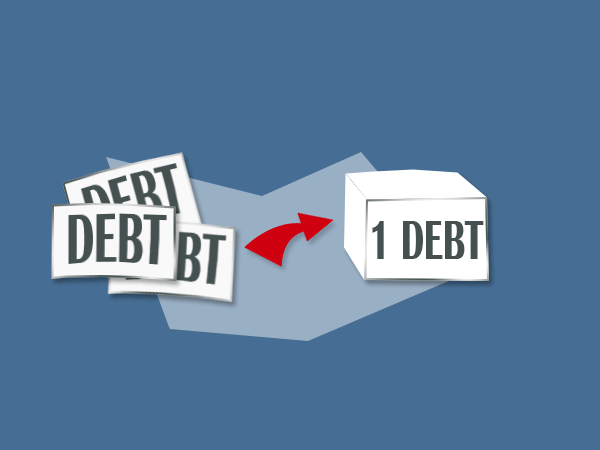 A debt consolidation loan on the other hand means that creditors are still free to contact you. The debt counselling process is designed to protect you from the repossession of your assets. A debt consolidation loan will not protect your assets from repossession as part of the agreement. The debt counselling solution is designed for those who are gravely in arrears with their debt repayments and struggling to manage it. For debt consolidation, the minimum criteria is a clear credit record and no existing arrears on debt repayments. Further, for debt consolidation to work, consumers must be sure that they are able to afford the monthly instalment every month, which is typically not possible for debt counselling candidates. If you’re in over your head when it comes to managing your debt, you may need to consider contacting a trusted debt management company. 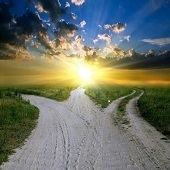 At Debtbusters we will find the best debt solution for you and walk you through the process – one step at a time. Three Common Myths about Debt Counselling – Busted! But how did one of the best debt solutions inherit this stigma? 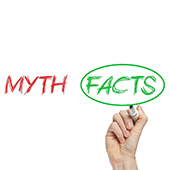 And what are the other common myths that may be keeping you from becoming debt-free? Fact: Debt counselling is a positive rehabilitation process and is focused on taking the strain off you. Tens of thousands of people engage with DebtBusters monthly, so you are not alone! Also, debt counselling is not reserved for the “worst-cases” – simply being over-indebted or needing help to manage your credit rating better is enough reason to seek help and assistance. If you’ve ever had a creditor threaten legal action against you for failing to meet your repayments you could be a candidate too. What many people fail to understand is that debt counselling is there to protect you and assist you to ultimately become debt free. The last resort is actually sequestration and is relevant when you cannot afford debt counselling and will end up costing you far more in the long run. Fact: If this is the case, run! According to the National Credit Regulator (NCR) debt counselling fees are typically the same for all debt counselling companies and there are no upfront fees. Although some fees are collected in the first few months of the debt counselling process, they will all be included in your monthly, affordable payment. All fees included in your repayment plan is what you agree to before the process officially starts. It’s also regulated by law and your debt counselling process is only solidified after a court order has been granted by a Magistrate. It is important to note that your fees are dependent on the debt owed. Fact: When you are under debt counselling you are temporarily prevented from applying for any credit as your profile is flagged at the credit bureau. It is a way to assist consumers to take a breather and focus on getting financial freedom. Once the process has taken its course you receive an “all clear certificate” which instructs all credit bureaus to update your profile. Once this is done your profile will no longer reflect that you were ever under debt counselling and you will be able to access credit again. Debt counselling can be daunting because it’s never easy to admit that you need help, especially when it comes to money, but you’d be surprised how more and more people are recognising that is the responsible and wisest step. Prior to 2015, if a consumer wanted to exit the debt counselling process , they would have to contact the respective Debt Counsellor and request cancellation, in which case a Form 17.4 (voluntary withdrawal from debt counselling ) would be issued to all parties involved and the consumer would be able to successfully withdraw from the debt counselling process. However, in 2015 a revised set of guidelines were issued detailing new instructions on how consumers under debt counselling could exit the process, and subsequently remove the debt counselling flag from their credit profile. It is important to note that a Debt Counsellor may no longer terminate or withdraw a client from the debt counselling process. This means that a Debt Counsellor can no longer issue a Form 17.4, but they are allowed to suspend their service if they feel that the client is not co-operating (e.g. non-payment, no relevant proof, etc.). As per the revised guidelines, a client can only exit the process once all obligations stated in the debt counselling agreement have been satisfied (excluding a home loan, which must just be paid up to date and not be in arrears). In addition to this, if a court order which protects the re-arranged credit agreements has already been obtained, then the client may approach the court to get the court order rescinded or apply for a new order to declare they are no longer over-indebted. That is the only way they would be able to exit the process and liaise directly with creditors from there onwards. Upon receipt of the order, the Debt Counsellor will notify credit providers of the withdrawal by issuing a form 17.W (c – for rescission, d – for no longer over-indebted) and update the NCR system. Once updated, a consumer’s status will reflect on the Credit Bureau’s side, who will update the consumer’s credit status. If however, the court order has not yet been issued and the 17.2 form (a document stating you are over-indebted and the Debt Counsellor has accepted your request to go under debt counselling) has not yet been sent to the credit providers, a client may still request termination of the process. If the 17.2 form has already been sent, the client must then approach a magistrate/high court or get assistance from an attorney to obtain a 17.W (d) for exiting the process.